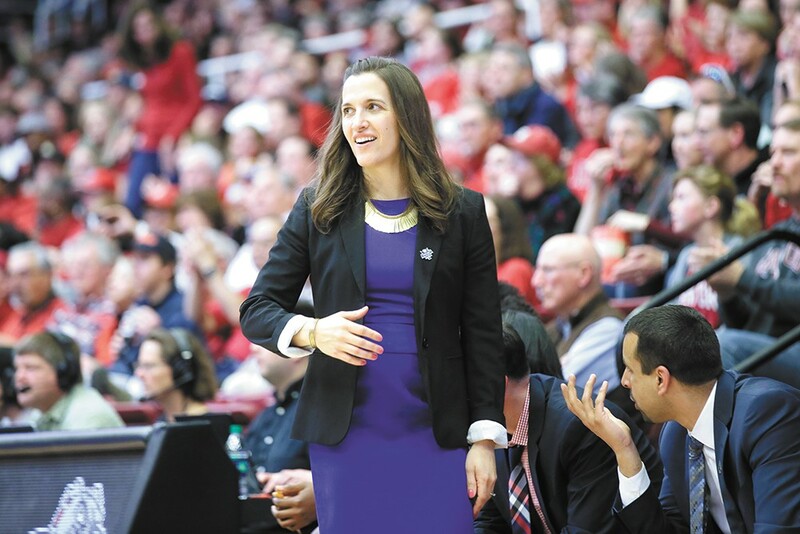 Gonzaga women's basketball coach Lisa Fortier. Gonzaga's fall at the West Coast Conference's women's basketball tournament was heartbreaking, and not because the Zags lost to BYU for the third time this season in the championship. No, it was the loss of senior guard Laura Stockton and top-notch reserve Jill Townsend to injury in the semi-finals, paired shortly thereafter with the death of coach Lisa Fortier's brother, that made a stunningly successful season suddenly seem inconsequential. The NCAA tournament gives the team a chance to write a happier ending, though. This year's team reached a historic high in the polls when at full strength — No. 14 in the Associated Press poll — and despite their injuries, they were still awarded a 5-seed in March Madness. The Zags will travel to Corvallis, Oregon, to face 12-seed Arkansas-Little Rock, the Sun Belt Conference champs. If the Zags get by the Trojans, they'll play the winner between No. 4 seed (and home team) Oregon State and 13-seed Boise State. In 2015, the Zags memorably took a similar route to the Sweet Sixteen, beating Oregon State on their home court before falling to Tennessee in Spokane. The Zags will need a serious reversal of their recent luck to repeat that trick. Gonzaga plays Arkansas Little-Rock on Saturday at 12:30 pm on ESPN2. The original print version of this article was headlined "Zags women face more than tough opponents"